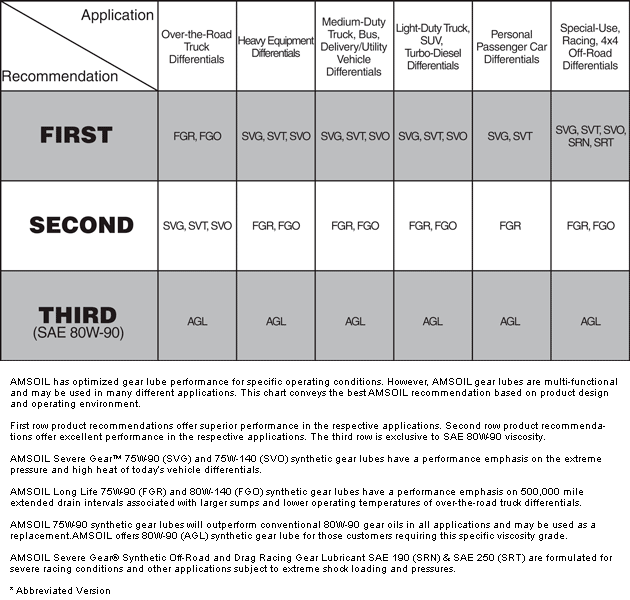 Click here to view the MSDS Data Sheet for AMSOIL DME. Votes & Reviews: 284 vote(s) and 263 user reviews. I have used amsoil in my 2008 and now my 2017 duramax. Love the reliability and superior quality of the oil. I have found that using Aimsoil products I have added longevity and life to my vehicle. I drive around 1500-2000 miles per week. Products service my vehicles mechanical parts awesome. Used in a 2005 GMC Sierra 2500 HD, have used Amsoil products exclusively since I purchasing the truck, will definitely continue using. I use nothing but AMSOIL in all of my vehicles. I use AMSOIL in my 2007 Dodge RAM 3500, my wife's 2013 Ford Edge, 3 Waverunners, and all of my power equipment. I have not experienced any issues with any of these applications. Warranties are not voided, and fuel mileage in both vehicles is improved compared to conventional oils. My Dodge Ram has the Cummins 6.7 liter diesel with 268k miles. The truck is still purring like a kitten, and doesn't burn a lick of oil. I am still on the original transmission without any re-builds as of yet. (very uncommon for the Mopar trannies). I extend the oil change intervals to every 9k miles, even though the manual states not to extend. I have not witnessed much , if any fuel dilution in the oil. My Wife's Ford Edge has a mere 78k miles on it. I change the AMSOIL Premium oil in her car every 15k miles, even though the AMSOIL reference sheets state she could go 25k. I just like being careful. I run the marine 10W30 in the Yamaha Waverunners and have smooth acceleration, without any vibration or oil burn. Overall, I love the AMSOIL products and would recommend to anyone looking for a top end, fully synthetic, highly protective oil. I never knew you could see the difference in oil. I switched to amsoil a few months ago. I noticed easier starting in sub zero weather, and a slight increase in fuel mileage. I was running a synthetic before. Amazing. I became aware of And oil in 1985. I knew how good synthetic oil was as my older brother was a petroleum engineer and he declared that synthetic oil would soon be the dominant motor oil. I had my brother run some tests on a quart of And oil and he reported that the stuff was off the charts. He and I became long time customers. I have never had any type of engine failure due to poor oil performance. Installed AMSOIL in my old Chev Diesel. Changed the filter every 5000 miles . Checked quality of oil each time. At 20000 miles the oil was still good. Amen. This was at 100000 miles and used a quart every 3000 miles .mwhrn traded atb441000 miles it used only 1/2 guard in 10000 miles . Had an old 99 suburban diesel bought used. Was up to 1 quart every 4500 miles when traded at 352000 miles. I've used this product as well as many other amsoil products in many trucks and pieces of equipment and they are superior to any other on the market. Much smoother running with lower temps and increased mileage. I use this oil in my dodge 2500 cummins and it works great. Lasts long. Love the protection and convenience of oil changes once a year. Saves money and time. Only oil go my things! Duramax seams to like it, oil samples great @ 10000km, filter change and re sample @ 20000km! I have used AMSOIL for over 30 years great stuff! The oil in my 199 F-250 SD with 7.3 diesel, bought new, use to get its oil changed every 3-5K miles for the first 6 oil changes. Then the switch was made to Amsoil Synthetic, with Amsoil oil filter. The oil still looks new after the first 3-4K miles and is changed every 10K miles. Although I have had no problem with this vehicle related to lubrication, the vehicle may be considered low mileage with 262,000 miles and o8il consumption has been greatly decreased. Love this oil. I have had Silverados with Duramax for daily use and towing a travel trailer. I change the oil at extended intervals using the Amsoil and have used this oil with confidence in all seasons and conditions around the country. Signature Series is the best! Before using this product in a 2015 Silverado 2500 I had consumption of standard oil. Truck was using 1 quart of oil per 5000 miles. After switching to this product I have not experienced any consumption. I have used this since the truck was new. 110,000 miles and it is running like new. During the recent cold weather, it started right away and oil pressure was At recommended level. Great protection! This oil is all that it says it is. I've been using Amsoil motor oil in my 2007 Ford F350 diesel now for past 9 years. Each time I change the oil, which is every 5000 to 6000 miles, I also take an oil sample for lab analysis. The lab reports have always good. No appreciable wear, and it's viscosity after 6000 miles is well within acceptable ranges. Internal parts of the engine remain extremely clean, no deposits or sludge buildup. I also use Amsoil XL motor oil in my 2016 Subaru Outback, and before that, a 2010 Forester and never had any engine problems. I am extremely sattisfied with all their products, from engine oils to gear lubes, which I have been using in my F350 for 9 years. If you like the best, then this is the stuff. I use this oil in my 7.3 and never have a problem with cold starts even with the truck having 200K. Truck runs great with this oil and I have lower oil temps and smoother idle. I use AMSOIL in everything I own. Amsoil is the best oil products out there. I run heavy loads with my truck and travel a lot. I get great mileage out this oil and it holds up to the extreme temperatures here. I use this in a 2000 7.3 Ford Diesel. Motor has over 200,000 miles and still runs like a top. I will continue using Amsoil products; my engines run great and stand up very well with their products. Been using this in my diesel truck for years with never a problem. Online ordering was quick and easy! This is my second Duramax and AMSOIL is all I use in all my vehicles. used in a 6.0 Powerstroke. Probably the most demanding motor of oil because of the design of the 6.0 Powerstroke and the use of the oil to hydraulicly power the injectors. Best dang oil out there! My truck just keeps running smoothly. I TRUST Amsoil. I had this oil in my L5P Diuramax for 5,000 miles. I have never heard such a loud clicking noise come from this motors till I put this oil in. Will never use again. Oil consumption went from zero to adding a half quart every 1500 miles with this oil. Could not wait to get it out of my engine. I bought a new GMC 3500 Duramax in 2005. The first OIL change was AMSOIL Max Duty Diesel pool 15W-40. With this OIL I only need to change OIL once a year (AMSOIL recommends once every 20000 miles) and I only have 10k per year. The OIL is costly but with the perfered fostered card ($20.00 per year) you save in the long run. Very affordable and an excellent product! Use Amsoil in all my vehicles and toys. Love amsoil! Ships right to my door and is always quick to arrive. It's all that's been run in my Cummins since it had 60,000. I am at 280,000 and counting. Amsoil speaks for itself! I've been using this oil for 25years . Would never stop. Since using Signature Series Amsoil in my F350 7.3 my truck is quieter and my mileage has increased. This oil is a miracle, I've been working on vehicles for over 40 years and this product has given me the best results of any lubricant ever. In addition to long interval oil changes my oil has to get me through all four seasons especially the cold North Eastern winters. 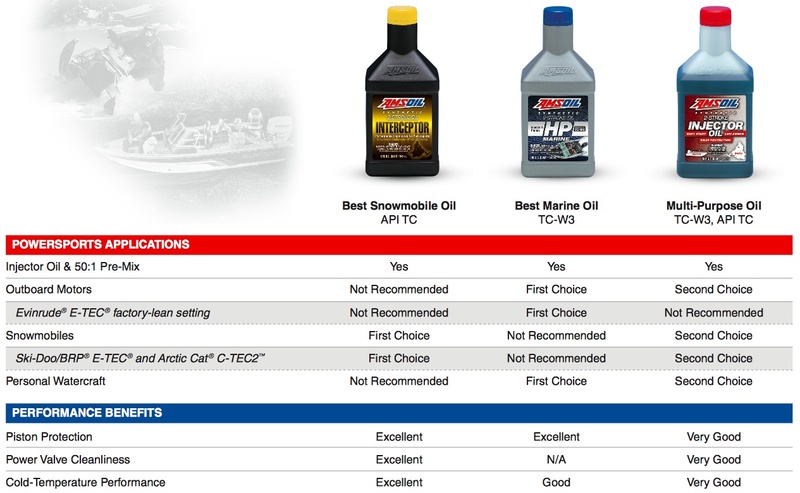 I've tried many brands of oil and Amsoil Signature Series has proven to be the best. Cold starts no longer an issue if I forget to plug in my truck overnight or just leave it off for a shift at work. I really like this oil and trust Amsoil products. Diesel motorhome and 2004 Ford PSD. 1998 Jeep Wrangler and 2015 Jeep Cherokee. All lubes in all my cars are Amsoil. I will use nothing else. Best diesel oil on the market. Wouldn't be caught using anything else. Read the specs. I've used this oil for a while now and all I can say is I love it. My truck runs smoother and doesn't burn oil when I'm pulling. I purchase this oil for the soot contamination, fuel economy gains and the wear additive package. I can tell my Duramax doesn't "tick" anymore and the fuel economy is much better. I can also go longer between changes. All in all a great product. At first the motor was running smooth. I was excited and thought I had the best oil on the market. A couple if months later I can see the final results. Amsoil is good as like the rest of syn. Oil is. For deisels they need to make a thicker oil for Arizona then they will profected it. Im asking them to provide the research because I believe they could be the best. Engine runs quiter and seem to get better fuel mileage. Very happy with the oil product. I like this oil in my 99 ford power stroke. Holds up well. I run this stuff in my Duramax and have since I bought it in 12'. It holds up to whatever I put the truck through. Best bang for the buck on the market. Although I've never use this oil before I'm confident I'll love it as I've been useing it in my M/c for years ! You just can't go wrong with amsoil! Being a new customer to Amsoil, I've read lots of reviews and spoke with Amsoil Tech several times, and lots of satisfied customers before making the switch. I'm still a few thousand miles away before the first oil change. This is with Amsoil oil filter. With all the above sad, I'm very satisfied with the product and the technicians. It kept the engine cool. It doesn't break down. My mileage increased a bit. The engine runs a lot smother. I plan on keeping my truck for many years and this oil is go to oil. Best lube oil for my one ton Ram 3500. But not without the Amsoil EA filter. I would buy this product for any vehicle I have. I use 15 40 in any vehicle I have which includes my tractors, lawn mowers. I completely switched my Dodge Ramsey 3500 to Amsoil at 140000 miles. Started out doing complete oil changes every 20k with just filter at 10k mark. Decided to have an oil analysis done. By time I have next sample tested it will be at 30k miles on this oil change. Saves money and downtime. This is an exceptional oil. Definitely made my ol' 6.5 detroit run smoother and helped with mileage! We have three dodge diesels and two gas vehicles and its the only product I use, Some fuel filters they don't have and I use Wix for that. they don't make a fuel filter for my Cummins motors or I would use them for them. Love the new diesel oil !! Use this in my 2015 super duty 1 ton dully. Simply the BEST better than all the rest ! ! ! I have a 2011 Chevy one ton dually long bed . Now over 100,000 miles and is running great I feel because I have used Amsoil since day one . I have used every brand with prior vehicles and always go back to Amsoil. Buy diesel, gas oil plus PI for my gas vehicles. Amsoils is the best! Been using Amsoil HD Diesel oil for many years in Ford Turbo SDuty. Best oil out there! I'm running the 15w-40 Amsoil Signature Diesel in my Corvair air cooled engine in my 22 foot RV. Very heavy duty use for a 3 liter engine from the '60's, and it performs perfectly, along with the Amsoil 75w90 Severe Gear in my differential, and Amsoil ATF in my Powerglide transmission. I use nothing but Amsoil products in my 17 Prius, the 16 Subaru Forester Turbo, And every car I have owned in the last 15 years, and will continue to do so. I only use Amsoil products. I like to take extra care of cars that I love. For those cars, I only use Amsoil products. Why? I trust and appreciate the information and research they provide. I'll pay extra for that trust. Yearly oil changes, how good is that! Used for oil change in 2005 Chevy Duramax diesel, have been using AMSOIL for years now, great for extended oil change intervals have no complaints about product thus far. Only Oil going in my truck!!!! I have been using Amsoil for many years. Amsoil is the only product I put in my machines! If you don't have time or inclination to change your own oil, buy and take it to whoever does your oil changes you will still safe money and your vehicle will love you. I run this oil and only this oil. Do changes every 20,000 miles and never have to add any oil during this time. I'm using this in my Onan air cooled generator in my motorhome. Has run all day in some fairly hot temperatures (mid 90s) with no oil breakdown and generator uses Very little oil between scheduled changes. I'm using this in my diesel pick up. I can't believe how much smoother it runs. And the mileage improved so much I thought the trip computer was broken. 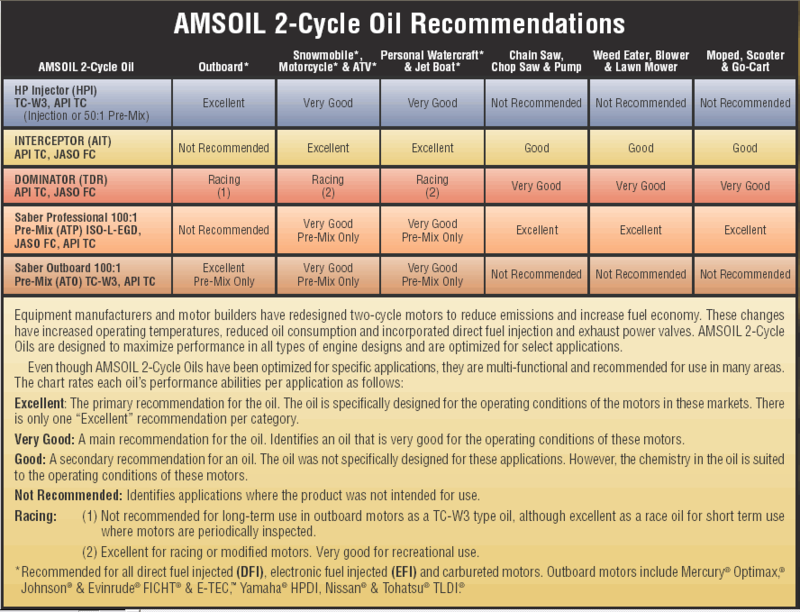 Amsoil is a great oil. I personally change oil in 8 automobiles and light trucks. Also 1 motorcycle and two lawnmowers. My highest mileage is 200250 miles. I can tell you that Amsoil and their filters will do a superior job. The only down side is the shipping charges. Amsoil is priced about the same as Mobile 1, but the charges mean you pay top dollar. and these products let me service at my convenience. so far so good . I believe in Amsoil . I expect the best from this oil . My vehicles depends on it ! I run this in everything I own!!! I use it in conjunction with the Amsoil bypass filter. Usually Change oil after 20,000 miles or so. It's great oil, as is your trans and differential oil. The best of the synthetic oils I have found. I use every product I need for our truck and RV and yard equipment. I have used amsoil in everything i got for the past 10 years, and i cant say enough about it. KIt was a nerve racking decision to change to Amsoil in my Old 1993 Dodge Cummins. I really hope it holds up. So far So Good. I purchased this for a buddy he has had no complaints. The shipping speed is awesome. I have changed all fluids to AMSOIL. The oil viscosity is superior to any on the market. I do the recommended oil change to may 2500HD Duramax. Even after a 10,000 mile oil change the lubrication in the oil is still as if it were brand new. AMSOIL is the best to run in any motor. Give it a shot you have nothing to loose with using AMSOIL products. I live in a cold climate and have never had to use engine block heaters in winter. Increase oil pressure and smoother idle. I trust Amsoil fluids and so should you.. I really appreciate the ability to use the "My Garage" to identify the products and capacities listed for each of my vehicles. That with Amsoil's excellent write ups on their products gives me a piece of mind that I have the right fluids for each vehicle. This oil has all the additives my old truck's diesel needs to stay running for another 250,000 miles. great oil. last a long time with the proper bypass set up. Amsoil is an ansome products. 2007 Dodge 6.7, engine never sounded smoother. Best investment I've made. Everything I own I use Amsoil in. 2 stroke, 4 stroke, car, truck, trailer, motorcycles... Everything! I have been running this oil for over 12 years on my F350 7.3L Diesel. Still running strong. I will continue to use Amsoil in all my vehicles. Always quality. I run this in my 2009 Ram 6.7 Cummins. Been running nothing but Amsoil since I bought it in 2010 and no issues. I never worry about oil related issues with Amsoil. Bought a new GMC Denali and I will use NO other oil it a $60K plus vehicle! I trust Premium 15W-40 Synthetic Diesel Oil in my truck. This is the only oil I have used in my 2008 Chevy 3500 HD truck since the first oil change. At this time it is not a high mileage truck and generally change the oil due to time limitation and not mileage. However when the truck is being used it is under somewhat severe conditions and I trust Amsoil to take care of it. I will not at this time consider any other engine lubricant for this truck. Truck not plugged in -40c slow crank still started. I believe 5-40 made the difference. Good oil. I've been using AMS 15w-40 and the 25000mile filter for over 170,000 miles and have been completely satisfied.The fact that I don't have to take the time to get an oil change every 3000 to 5000 miles helps a guy like me who's on call 24/7. Using the premium synthetic oil in a 03 cummins, instantly noticed the truck idling better. Glad to extend time between oil changes as well. I think the products are great. Been using them for a long time. I began using AMSOIL 15w-40 Synthetic Diesel oil 3 years ago. I can tell a definite difference in the performance of the truck & there has been increased fuel mileage with & without towing my 5th-wheel. I also have extended the interval of oil changes to 15,000 to 18,000 miles. Based on my positive results with this product I also had my transmission fluid changed to Amsoil. I Can always count on great quality and fast shipments from Amsoil. I have only used there product on my 2007 GMC Diesel truck from the day I purchased it brand new. This product ROCKS! Have used it in my diesel truck since my first oil change in 2006. My truck has 170,000 miles and still runs like a top and still pulls my 5th wheel all over the USA. Also use an Amsoil oil filter and together they are the best in my humble opinion. I use The 15-40W in my 2014 Ram 3500 with a Cummins 6.7 diesel engine. I pull a cargo trailer daily for my construction business and also have a 40 foot 5th wheel trailer that I am on the road with 45 - 60 days a year. I never have to worry if the engine is being well lubricated. Our duramax is a daily driver along with pulling a 43 ft toy hauler. I will be purchasing other products also. I have used this product for many years and I have had great results. I am glade I came across amsoil the product has saved me alot of money. Have used AMS Oil for years and it has performed as advertised. Was always a little tough to find a salesperson close to home now it is very simple to order and delivery was fast. Did an oil change and filter and first week I notice that the engine had smoothed out , and my mileage went from 11.3 liters per 100 k down to 10.6, that's just in 22 kilometer ride to work .Can't wait for a highway run coming in September. Can't say I had any issue in my 2014 Duramax but for the cost I will be buying something else. I just cant stand lettingmy truck go 10k++ miles on a single oil change but that's just me. Been using the oil since the vehicle had reached 25000 miles. Now it has just short of 120,000 miles. The oil lasts one year. I notice no oil comsumsion between oil changes. Use the truck to pull trailers beside just normal driving. Also belive that the oil aids in cold starts during the winter months. Starting in sub zero weather has not been an issue as todate. I switched from the standard Rotella 15W-40 about 1.5 years ago to the Amsoil 15W-40, and was the best thing I could have done! Though some of the new diesels are rated for 7500 mile oil changes, when using Rotella I still changed it every 3k miles. With the new emissions on these trucks, the regular oil doesn't last near as long. After only 3k miles, the oil was almost as thin as water, and the lubricity was nearly gone. After switching to Amsoil, I can go the full 7500 miles and then some (with oil analysis), and the oil still feels like new. I have since started using Amsoil to replace all the fluids in my truck. Amazing. I have noticeable temperature drops. I run it past the recommended oil change intervals, although that is not recommended. Combined with the Wix filter and it starts easy, runs cooler, and longer intervals. Not a single bad thing to say. My brother has owned an F250 Diesel for over 10 years. He told me that his truck performs the same as it did 10 years ago and he has had no fuel injector or motor problems. His friends have had those kinds of problems with their trucks. The difference he said is that he has been using AMSoil in this engine and transmission, and his friends did not. So when I bought my GMC 2500HD Diesel, I bought AMSoil for my truck. Their record is impressive. If I can trust my brother, who can I trust? I have used this oil since 1984. I have used this oil in my own Cummins engines since 1996. I have been using Amsoil in my diesel towing vehicles sense 2004, when I purchased my first diesel GMC 2500 pickup. I tow a 10,000 pound Airstream Travel Trailer 10,000 to 15,000 miles a year, and change my oil one time each year. I have used an Amsoil Duai Filter System with the Bypass filter. I change the Full Flow Filter two times per year, and the Bypass filter one time. I got my oil analyzed each year just before my oil change for six years. I never had the lab recommend I change the oil. I put 125,000 miles om my first Amsoil truck, then sold it to a friend in 2014. The oil I am reviewing was bought for that friend, that is stil towing a Travel Trailer and changing the oil like I did. I now have a 2015 Chevy 3500 Diesel set up just like my 2004 GMC was for Amsoil and dual filters. The order for this oil also included the oil and filters for my new truck. I look forward to getting the same results with this truck doing the same job. The best oil out there! I use Amsoil in my 2015 F-250. This oil holds up under the stresses that come with running 11 hrs. a day 5 days a week in commercial use. My 2015 already has 155k miles on it thanks to Amsoil, without any engine problems. I have tried other oils, even Royal Purple Duralec, but none compare to the 15-40's strengths when under the high temperatures of Summer in the south and the cold temperatures of the north in Winter. I have been using Amsoil for many years I use nothing but Amsoil in my vehicles I have a Duramax diesel 6.6 2011 In my opinion Amsoil is the best synthetic oil on the market . I am using the 15W-40 Premium Synthetic from AMSOIL right from new, enjoying extended drains and great fuel mileage. The truck is 9 months old and has 87,000 km already, also switched the transmission and diffs over to AMSOIL.